Local men Ryan Mulroy and and Kieran O Byrne lost two people they loved to COPD in the past 18 months, and vowed to raise awareness of, and funds for, this cruel illness. 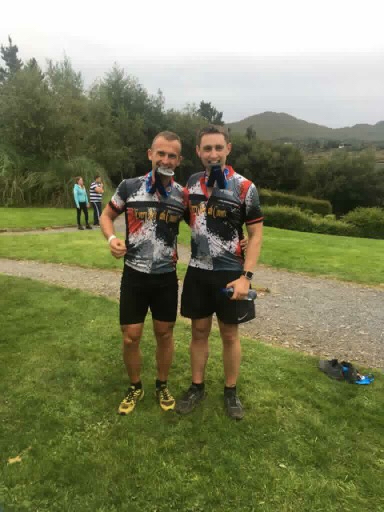 They took part in a 12 hour adventure on August 25th which took the form of a 48 km cycle, 14 km mountain run (up and down Carrantuohill), 48 km cycle, 5 km kayak, 14 km cycle, and an 18 km trail run. As they said, “Throughout this venture, every breath will count just as much for us as is does for those suffering with COPD.” They raised an incredible €4445.72, all of which was donated to Marymount Hospice.